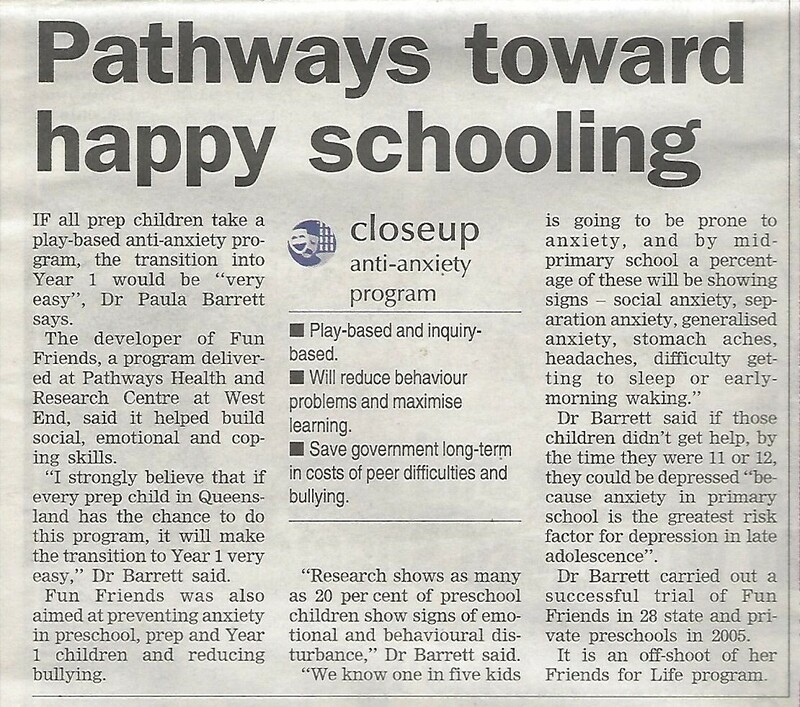 “IF all prep children take a play-based anti-anxiety program, the transition into Year 1 would be “very easy”, Dr Paula Barrett says. The developer of Fun Friends, a program delivered at Pathways Health and Research Centre at West End, said it helped build social, emotional and coping skills. “I strongly believe that if every prep child in Queensland has the chance to do this program, it will make the transition to Year 1 very easy,” Dr Barrett said. 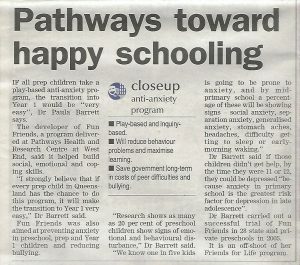 Fun Friends was also aimed at preventing anxiety in preschool, prep and Year 1 children and reducing bullying. “Research shows as many as 20 per cent of preschool children show signs of emotional and behavioural disturbance,” Dr Barrett said. Dr Barrett said if those children didn’t get help, by the time they were 11 or 12, they could be depressed “because anxiety in primary school is the greatest risk factor for depression in late adolescence”. Dr Barrett carried out a successful trial of Fun Friends in 28 state and private preschools in 2005.